What were your thoughts, feelings or reservations leading up to surgery or in making the decision to have surgery in general? I met Dr. Diederich when he performed a small procedure on my wife. My wife, who has an extreme fear of medical professionals, was able to be comforted by Dr. Diederich and I instantly had a level of trust with Dr. Diederich. It was this level of trust which led me to make a consultation for myself. Because of my reservations and fears, I had several consultations prior to my surgery day and I scheduled the procedure nearly a year out to ensure I was comfortable with my decisions. What made you choose Dr. Diederich? 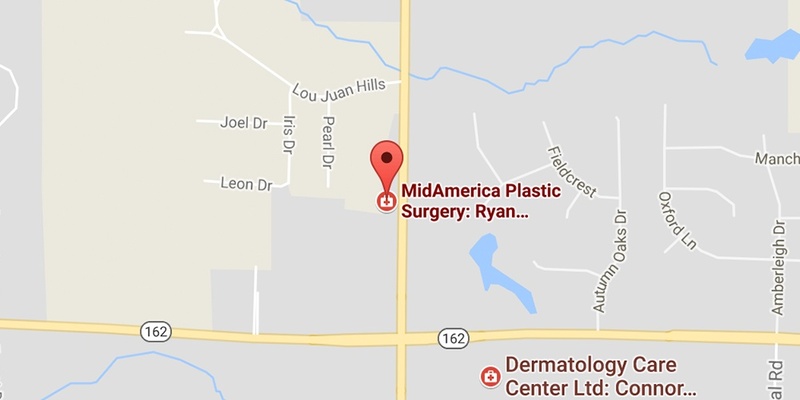 Everyone at MidAmerica Plastic Surgery treats you with respect. It’s clear Dr. Diederich cares about each and every one of his patients and takes the time with them to ensure they understand their procedure and their anticipated results. I knew this was the place for me after seeing how he not only treated his patients, but his staff. How was your overall experience with Dr. Diederich, his staff, and the surgery? Are there any memories/highlights that stand out in your mind? From the moment you walk in the door you’re treated like family. I remember after my first post-op visit giving Dr. Diederich a letter, which highlighted the impact this procedure has had on my life. I remember describing how he treated his staff was a strong consideration in evaluating him as my potential surgeon. Also, I must not forget he had two patients to care for. My loving wife who was a mess before, during and after my procedure who needed just as much if not more reassurance than I. Would you consider having another procedure performed by Dr. Diederich? I would and have recommended many to Dr. Diederich’s office. What is your life like now, after the surgery? Life could not be better. Three months after my surgery my wife and I completed IVF and found out we were having twins. I am happy with my results and as time progresses they only continue to get better. I have found a renewed energy to care for my own health.